The group spend their first night in a youth hostel in Brooklyn. Later, they set out to explore the city. A trip to Times Square does not prepare them for the drama that is about to break out. 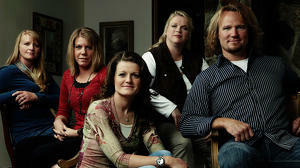 In a world where "plain" is considered a compliment, TLC will pull back the curtains to reveal the strict traditions of the Amish/Mennonite religion and lifestyle as cameras follow five people who have chosen to leave it behind and explore the world outside of their community. Breaking Amish provides a never-before-seen look inside the lives of young men and women as they, for the first time, trade horse and buggy with taxi cabs to break out from their respective Amish/Mennonite communities in their pursuit to chase big dreams in the Big Apple. 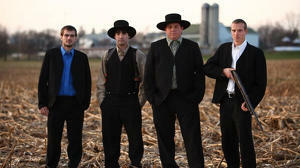 Breaking Amish will shed light on many "firsts" for the cast members. From flying in a plane and wearing jeans to using a cell phone and electricity, the show will highlight their transition into city culture and the basic amenities that come with it. Unlike Rumspringa, these young men and women get serious about the possibility of committing to careers, life, and options for living indefinitely on the outside. But after these new experiences and the opportunity to live out dreams take flight, will they take advantage of New York and carry out their newfound lives while leaving behind the Amish/Mennonite community and their families forever?